I’ve carried a great deal of ‘mind clutter’ around with me lately. It has kept me awake at night, depriving me of much needed sleep. Mind clutter, that negative self-talk, often holds me hostage—stuck in a place I don’t want to be. This mind clutter has been the source of my having a serious case of writer’s block. It started unexpectedly after writing and publishing my book, Wine Within Your Comfort Zone. Letting go of mind clutter is comparable to trying to stop the same song from repeating itself over and over in your head. Sometimes it’s the small things that get to me the most. Like too many weeds in my garden robbing each delicate plant of its nourishment, mind clutter takes up space in my mind—space that usually allows me to dream, create and write. Mind clutter has wrapped itself tightly around my ideas keeping them captive. Like a fly in a spider’s web I’m left feeling hopeless and defeated. When I began to write, Wine Within Your Comfort Zone, I signed up for the Bring Your Book To Life Program, offered by writing coach Lisa Tener. Lisa recently checked in with me to ask about my post-publishing situation. Her email was timely to say the least. After hearing my dilemma not only did she give me much needed validation, she forwarded this quote. That, ‘what if’, along with Lisa’s message, helped me focus on self-compassion and acceptance. Accepting that this ‘lull’ was really an offering of time to rest and replenish, provided relief and comfort to my over reactive, cluttered mind. It also allowed me to reflect. Upon reflection I realized the mind clutter started to accumulate when I began to worry about not writing. I’d been writing regularly for years and I’d just published my first book. The more I thought about not writing, the more worried and fearful I became. Compounding the situation, the more fearful I became, the more mind clutter crept in, like chickweed. My fears were not unlike most people —fear of being judged, which included being my own worst critic, fear of being misunderstood, fear of discovering something I didn’t want to know about myself, fear that I would fail to produce something worthy—and, fear of being unworthy. What I have come away with has been an ‘aha’ moment, complete with harp music. Mind clutter is really just ego screaming in my face. Tweet this It was when I began practicing self-compassion, placing my focus on what I was feeling rather than what I was fearing, that I was able to drown out the noise of ego. We demonstrate self-compassion when we speak to ourselves from a place of acceptance. Self-compassion helps us to see our imperfections as part of our uniqueness. Imperfections are really an illusion that only exists because of the comparisons we make and what ego would have us believe about ourselves. A famous quote by Theodore Roosevelt comes to mind, “Comparison is the thief of joy.” I’d go further to say, ego is the thief of self-compassion. Tweet this Self-compassion is forgiving, genuine, and unconditional self-love in its purest form. As I continue to clear away the mind clutter, I create new and beautiful open spaces that allow ideas to flow in freely. As I pluck out each weed I can see all the varieties of plants in my garden and appreciate each for its uniqueness. And, if I stand back and observe my mind garden, I feel empowered by the space created to help these ideas grow and flourish. The practice of meditation is teaching me how NOT to think. By focusing on my breathing, I quiet the mind clutter and calm mind, body and spirit. When I honor what I feel rather than what I fear I clear the mind clutter. As I toss fear and ego aside, I feel a guiding wisdom. 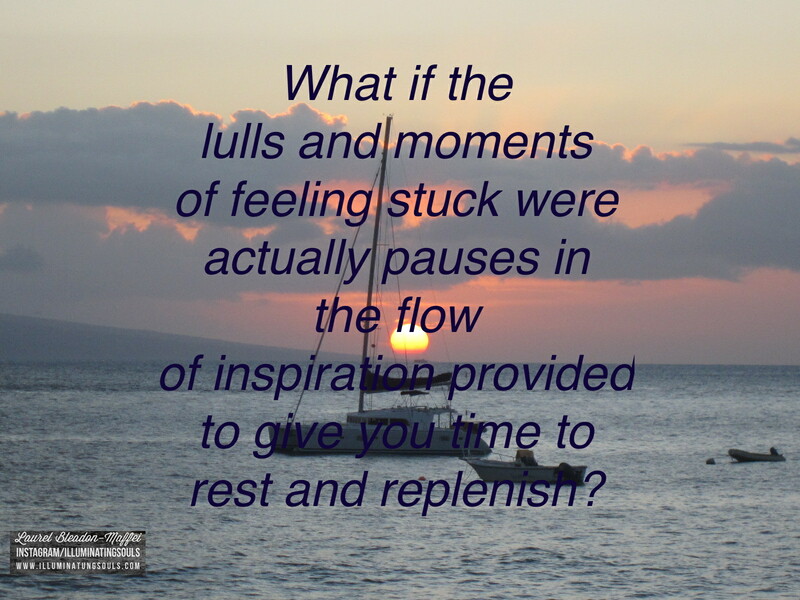 Accepting the ‘lulls and moments’ as gifts of time have allowed me to rest, replenish, and reflect. Coming to terms with reality allowed me to move forward, beyond my book. I didn’t want my first book to define who I am, or label me. I did not want to be type cast into the role of ‘the wine in moderation author’ where I’d be giving workshops and lectures I didn’t want to give. All the work accomplished on my first book provided many valuable lessons, paving the way for future projects. I’m taking these life’s lessons with me every step of the way. And then, I needed to give myself permission to write something new, from a place of acceptance, and compassion. P.S. What steps do you take to quiet mind clutter? Frittata? Fritters? Pancakes? Latkes? How About Frittater-cakes?